For the past couple of year, with help from Goodreads, I’ve posted the books I’ve read over the previous year. I read 14 books in 2015 and they are displayed below. As last year progressed, my reading took on a definitive theme. I found myself reading several books on the spirituality of Greek Orthodoxy. The Orthodox Church has been in existence since just after the time of Christ, yet for various reasons, is largely unknown to the western world. But its writings on the path of spirituality are a breath of fresh air. Books like The Way of a Pilgrim, The Orthodox Way, and The Philokalia (still reading this one! ), all describe a refreshing perspective on spiritual practices not often discussed in western churches. On the same topic, one of the best books I have read was The Mountain of Silence, which I shared in a previous post. Glancing at my books to read in 2016, it looks like more of the same as long as the topic keeps challenging and refreshing me. What does your reading list look like for 2016? About a month ago, I posted in Soulscaping about how re-sodding my lawn became a parable for my inner spiritual life. In order to restore health to my lawn, it needed to be stripped bare in preparation for new growth. But because the grass was not delivered on time, I was left with a yard of dirt. As an update (because I know everyone is waiting for news about my lawn! 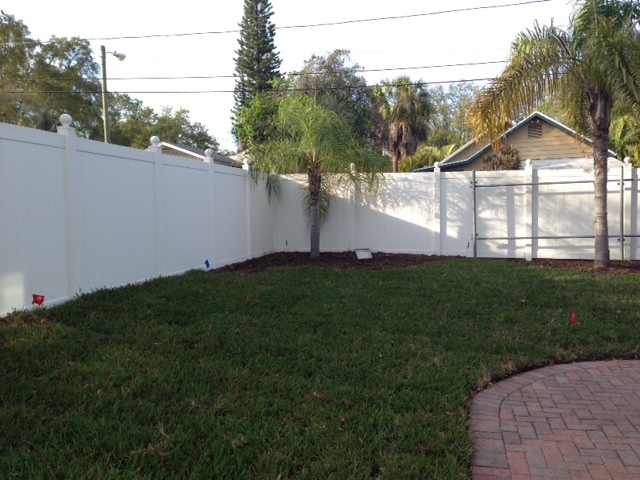 ), the sod was not delivered for about three weeks. And even when it was delivered and installed, the company shorted us about a hundred square feet of sod. A week later, more sod was delivered and in order to save some money, my wife and I decided to just lay the additional sod ourselves. So the weekend was spent digging up weeds, prepping the ground, and laying new sod. But again, this is not about my lawn. A funny thing happened as we spent the day out in our front yard, covered with dirt: we had a lot of conversations with our neighbors. From the just-curious to the just-out-walking-the-dog, the day was filled with getting to know some neighbors a little better and meeting others for the first time. As tired as I was at the end of the day, it was great to escape the anonymity of the house and engage in meaningful conversation with others in the neighborhood. It reminded me of a conversation I had with a friend of mine a couple weeks back. Instead of driving past our neighbors to attend another church event, what if we considered it part of our spiritual calling to engage those around us? What if the meaningful activity was to take place in my front yard? I experienced a bit of that very thing a couple weeks ago while sodding my lawn. I just finished reading a book that has been on my reading list for quite some time: City of God by St. Augustine. It is considered a classic, but if I am honest, it was a tedious (and long) read. It is incredible what points of theology were being debated at the turn of the fifth century AD – issues such as how much a person will weigh or what age they will be in heaven, which makes me wonder what issues might be considered frivolous in our modern debates. Yet the overarching theme of the book was intriguing: the contrasting viewpoints between the once-powerful city of Rome and the ethereal city of God. One of Augustine’s primary points was that to live life in the city of God would require an entirely different perspective from the way the world operates. You were taught, with regard to your former way of life, to put off your old self, which is being corrupted by its deceitful desires; to be made new in the attitude of your minds. We can at times be naïve about what this means by assuming that it is something that just happens to people of faith: “The Holy Spirit will renew my mind.” That may be part of it but it isn’t the whole of it. Or maybe it involves asking the occasional, “What would Jesus do?” question. But I think it runs deeper than that. When we approach the subject of the way we think or our perspective on life, we are really talking about worldviews – not necessarily the active thoughts in our brain, but the unconscious way in which we are processing everything around us. Our worldview is the lenses through which we are interpreting our life events, not even aware of the glasses we are wearing. In other words, if we have to ask the question, it is probably not yet a part of our worldview. Perhaps an anecdote will help. When my wife and I moved to Chicago several years ago, we were doing so as born and raised Southerners. I was bringing with me an entire worldview based on the culture of the southern United States. This perspective was challenged in many ways by the Midwest urban center that is the city of Chicago. Early on there were numerous times when my perspective seemed at odds with the environment around me. Then I began asking the question, “What would a Chicagoan do in this situation” or “why is this different from the way I would think about this question,” essentially confronting my own point of view. Over the next several years, I asked those questions less often, because I found that I was just learning to think differently. I was adopting and embracing a different worldview. It was becoming simply a part of who I was. Ironically, after living in Chicago for thirteen years and moving back to Florida, I experienced some of the opposite: my newly adopted perspective was being confronted in areas I had previously never given a second thought. I believe this is what Paul was referring to when he called on these communities of Jesus to renew their minds. He wanted them to not simply ask some questions of the pagan culture around them, but adopt an entirely different worldview to the point where they were no longer asking the questions, they were responding naturally as followers of Jesus to the world around them. After several years as a Chicagoan, I no longer asked, “What does it mean to be a Chicagoan?” I just was one. Likewise, as citizens of the city of God, can we renew our minds to point where we no longer have to ask, “what does it mean to be a follower of Jesus?” because we already are one, from the very depths of our mind and thoughts. The whole earth is filled with awe at your wonders; where morning dawns, where evening fades, you call forth songs of joy. You care for the land and water it; you enrich it abundantly. The streams of God are filled with water to provide the people with grain, for so you have ordained it. You drench its furrows and level its ridges; you soften it with showers and bless its crops. You crown the year with your bounty, and your carts overflow with abundance. The grasslands of the wilderness overflow; the hills are clothed with gladness. The meadows are covered with flocks and the valleys are mantled with grain; they shout for joy and sing. I was reading this psalm the other day, which praises God for watered lands, abundant crops and hillsides dotted with flocks. It struck me how easy it is to view a psalm like this as a spectator, perhaps driving through farmland taking it all in from the comfort of my car. I remember driving from the Dead Sea to Jerusalem and seeing sheep scattered across hillsides. It was a perfect scene – and easy to give praise to God in that moment. But what is really taking place in this psalm? 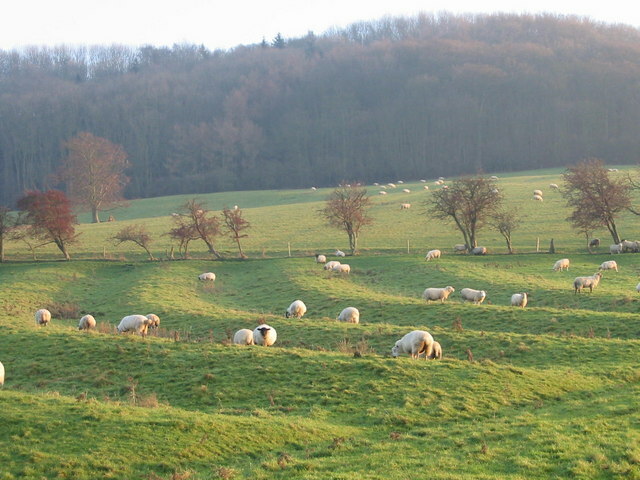 In an agricultural society sheep on the hillsides and grain in the valley represented the mundane and difficult work of a farmer – early mornings tending the sheep, caring for sick animals, plowing fields, praying for enough rain to bring about a harvest. The observations of the psalm above represent a brief respite from constantly working the land to both give thanks to God and to ask God for blessings on your labor. It struck me that while it may be easy to read this psalm as I would appreciate a photo of such a scene, the intent was to take a brief break from your labors from time to time and give thanks to God for these blessings. Would such a psalm today speak of full email inboxes and project deadlines? What about the ability to fill the cart at the grocery store and getting the oil changed in the car? Can we lift our heads from our work throughout the day and thank God for jobs, errands, and the comforts of modern life? In doing so, we may also remind ourselves of the spiritual value of the mundane, be it at work, at home, or at school. The mundane can take on great spiritual significance when we pause to allow God to water our efforts. It may not be as romantic as a hillside scene dotted with sheep and a valley full of wheat, but I wonder if it strikes closer to the intent of such a psalm? Fruit is a common metaphor found in the Bible. It most cases, the imagery refers to the virtuous actions of those who follow Jesus. This is why Jesus says, “By their fruit you will recognize them.” Picking up on this metaphor, the Apostle Paul lists nine of these qualities in his letter to the Galatians that have come to be known as the Fruit of the Spirit. Few would argue that these nine qualities on this list are good and noble qualities to embody. But how are they manifested in the way we live? Are these pieces of fruit qualities that we can nurture within ourselves or are they simply qualities that God forms within us? After all, they are the fruit of God’s Spirit. Connected to the Vine is a brief reflective study of the Fruit of the Spirit. Each piece of fruit is examined for its biblical meaning, before applying it to modern life. These qualities were meant to be put into action, and not only something felt within. Each one also includes a couple of reflective questions to contemplate the presence of these qualities in the life of the reader. There is also a section on how to utilize this guide for personal reflection or group study. When periodically revisited, this guide can be a challenging tool to help cultivate these virtues and assist the reader to stay vitally connected to God. As always, thanks for the words of encouragement and feedback. If you enjoy the book, please like, rate, review – whatever the case may be. It all helps spread the word! Connected to the Vine is available at most online retailers, such as Amazon and iTunes. For all formats, visit my Smashwords page or click the cover image on the sidebar of the home page. I was saddened to read this past Saturday that Brennan Manning passed away. He was one of my favorite authors. 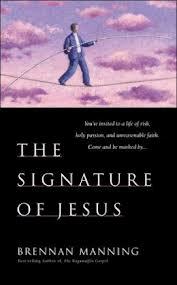 His writings had a way of extending the grace of God to me in a way that I have needed to receive over and over again. When I found myself in image management mode, Manning gave me permission to accept who I was and live in the grace and forgiveness of God. According to his website, he was ordained to the Franciscan priesthood in 1963. During his work with the poor, he traveled to Spain where for a time he became a solitary reflective, secluded in a remote cave for six months in the Zaragoza desert. After returning to the states, he experienced a battle with alcoholism. That battle prompted him to begin writing, encouraging people everywhere to accept and embrace the good news of God’s unconditional love in Jesus Christ. 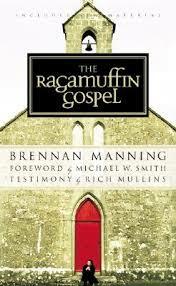 Among his most popular books are The Ragamuffin Gospel, Abba’s Child, and The Signature of Jesus. The first part of that quote graced the wall in my office and a friend gave me a journal with that quote printed on the first page. Is has become one of my life’s mottos. In Christ Jesus freedom from fear empowers us to let go of the desire to appear good, so that we can move freely in the mystery of who we really are. The question is, do I worship God or do I worship my experience of God? Do I worship God or do I worship my idea of him? Aside from reading many of his books, I got to hear him speak a couple times and count myself fortunate to even have had lunch with him along with a couple other people on one occasion. Whether through his writing, speaking, or sitting across a table from him he was always both challenging and refreshing to hear. May he truly rest in the grace of God! The final piece of fruit in the series on the Fruit of the Spirit is the fruit of Self-Control. For an introduction to the series see, By Their Fruit You Will Recognize Them. For an overview of the entire series, click on the Top Posts page. The final piece of fruit is that of self-control. To understand the issues being addressed with this fruit we must delve briefly into a bit of theology. Scripture often makes a distinction between the flesh and the spirit, or the sinful nature and the new nature made possible through our relationship with God. The flesh is not evil – that would fall into gnostic thinking – yet it is clear that the flesh, absent the work of God’s Spirit, is driven by cravings, compulsions, and temptations that can lead us into destructive habits. The flesh needs to be controlled by a strong mind, discipline, and a spirit connected to God. It should not be difficult to be convinced of this battle within us. We experience the flesh in action whenever we have that craving for another piece of chocolate or choose the couch over the treadmill. We can either be controlled by every whim and yearning of our body, or we can bring our body under submission through discipline and exercise. This discipline to resist capitulation at every desire of the body is what Scripture calls self-control. Classically, it is often used specifically in reference to sexual desires. Perhaps it is this sense in which we see a stark contrast to the life God desires for us and the desires our culture promote to us. We live in a world where we are encouraged to indulge every passion we feel or experience. To give into our appetites and indulge our passions is to be human, or so we are told. But God has a different message: The ability to control our appetites, curb our passions, and express them in healthy ways is what makes us human. Otherwise, we are just another biological animal. The tension we feel when it comes to self-control can be seen in the Apostle Paul’s words at the beginning of this piece of fruit. We often know what the better, healthier choices are in life and we have a desire to make those choices. We want to change. We really don’t want to continue down a given path. But it is a battle to make those choices and keep our desires in check. Self-control is choosing the better way over the immediate route our body is telling us it wants and wants now! Elsewhere in Scripture we are told that our bodies are temples of God’s Spirit. It is our job to make them suitable dwelling places for the Spirit. Temples were holy places that needed to be purified and cleansed on an ongoing basis to make them acceptable to the deity that lived there. Anything less was unacceptable. When we are able to curb our appetites, control our emotions, and resist unhealthy desires, we exercise self-control and create an environment in which God’s Spirit can move freely. Self-control encompasses many areas of our life. With this last piece of fruit, how suitable is your temple as a dwelling place for God’s Spirit? Are my energies being wisely directed? Am I less distracted in my pursuit of God? What specific area do you have the most trouble telling your body “No”? What disciplines could help direct your passions and energies in a better way? What activities could replace some habits you would like to change?